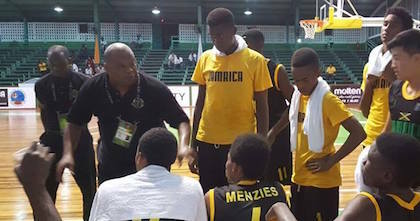 Tarry Upshaw coaches Jamaica at the Caribbean U16 Championship 2016. This summer he will coach the country at Centrobasket U17 Championship 2017. Taking The Charge Podcast Episode 249: We look back at the FIBA U16 Americas Championship 2017 in which United States dominated in winning the title. There is also just a bit of talk on the NBA Draft. We finish with an interview with Tarry Upshaw, the head coach at Ridley College who is also the head coach of Jamaica at the Centrobasket U17 Championship 2017. Episode 249: We look at the FIBA U16 Americas Championship 2017 and a bit of the NBA Draft.